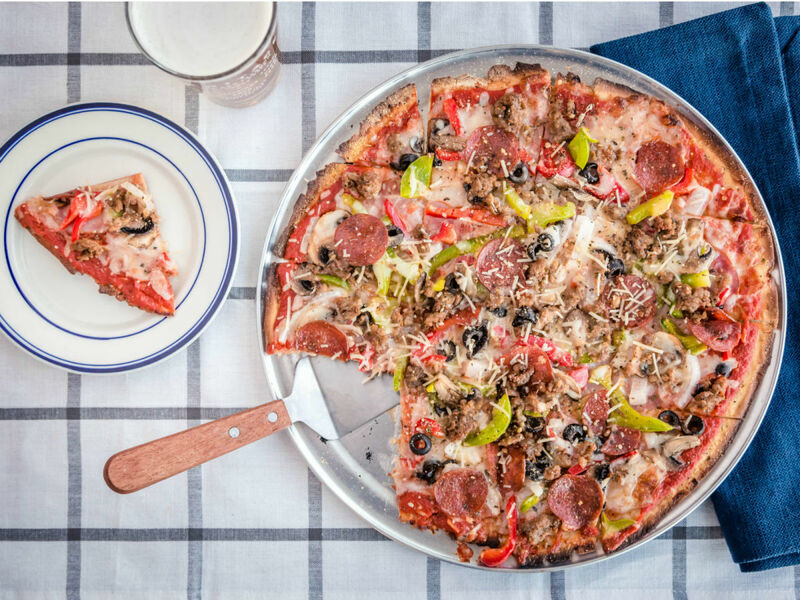 A restaurant group that specializes in pizza has opened a new concept that was just waiting to be invented: Heritage Pizza & Taproom, a combination pizzeria and growler bar at 3750 Plano Pkwy. in The Colony, near Nebraska Furniture Mart. 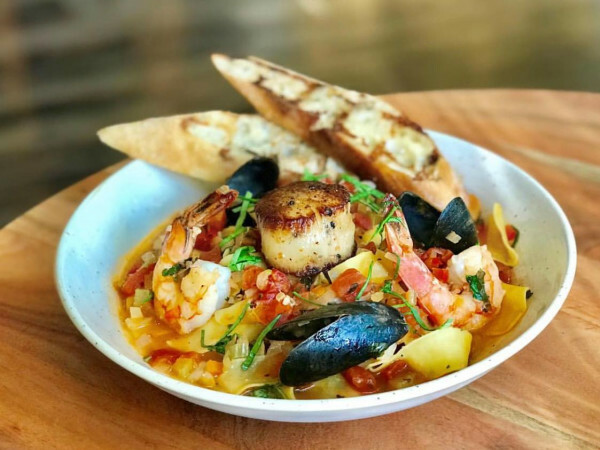 Heritage Pizza Co. is the latest concept from 33 Restaurant Group partners Preston Lancaster and Tony Smith, who also own Taverna Rossa and Cadillac Pizza Pub, and formerly, branches of Palio Pizza Cafe. The restaurant has 40 beer and wine selections on tap, and it offers growler fill-ups for both beer and wine to-go. The menu has thin-crust pizzas, pastas, hot sandwiches, appetizers, salads, and desserts. They also will soon offer full menu and growler delivery to The Colony neighbors. 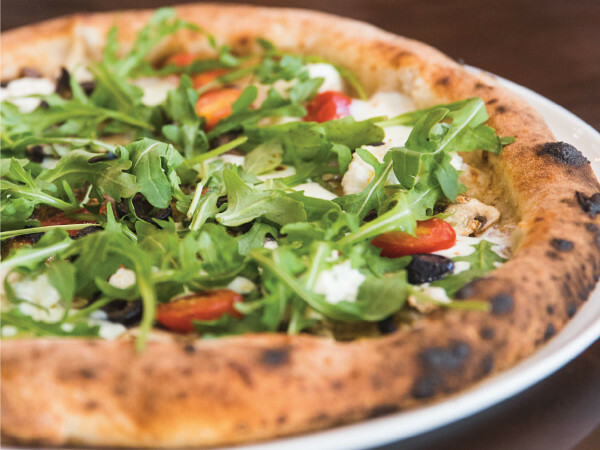 The pizza selection includes 12 signature pies baked in a brick oven, available in 10- or 14-inch options. The namesake Heritage has red sauce, cheese, chicken, baby spinach, tomato, artichoke hearts, feta, and garlic olive oil, There's a pizza with meatloaf and one called "the big Kahuna," which we presume has pineapple. The 40 taps include some locals and some not, such as Karbach, Peticolas, Lakewood, and Oak Highlands. They also leave taps for kombucha, Oak Cliff Vintage Root Beer, and Austin’s Cuvee cold brew coffee. Wines are available by the glass or bottle. Decor consists of vintage sports memorabilia, newspaper clippings, games, and decor, paying homage to the classic American pizza parlor.